Schedule a free consultation with a business coach today. Can a Business Coach help you? contact us for a Free Consultation today to see if we’re a good fit. 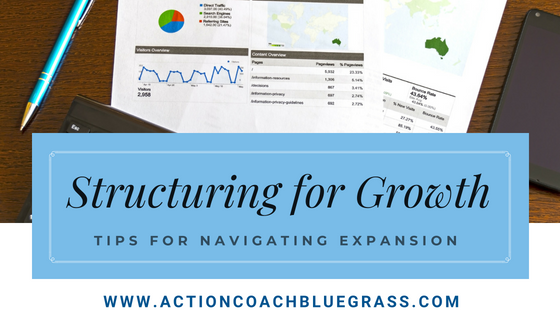 ActionCOACH Bluegrass has helped Close to a thousand Business Owners in Louisville, Northern Kentucky, and the Surrounding areas grow their businesses and find success. They've even coached business owners in other states via video conference. No matter what industry you're in, our coaching systems can help you achieve the business of your dreams. If you’re coachable, we can help. Is Business Coaching right for you? Contact us now to schedule a free, no-risk consultation with a coach to find out. Take the next step to gaining insight about your business and request an action plan. In order for us to offer you the greatest possible value for your time when we meet, we need to ask you a few questions. Your answers are held in the strictest confidence, and will not be shared with anyone. Honestly, what is your biggest challenge in accomplishing that? What's your revenue goal for the year? How are you tracking towards that goal? Surely hit it. Probably exceed it. Ahhhh, no. Pretty far away at this point. Below are some common topics that business owners want to discuss with us. Please check all that are of interest, or a concern, for you. Attracting the right type of customers for my business. Building a high performing sales force. We're getting too many price shoppers 'kicking tires'. Ways to increase repeat business. Systemizing my business so that it works without me. Having a better understanding of my finances and numbers. Having a clear vision and setting some firm goals. Finding and recruiting better people for my team. Is there anything else you’d like me to know about you or your business before we speak? Let's learn more about each other. We are here to help you grow and find the right coaching solution for your business. Reach out and send us a message. A member of our team will connect with you shortly. Thank you! We look forward to learning more about you and your business.